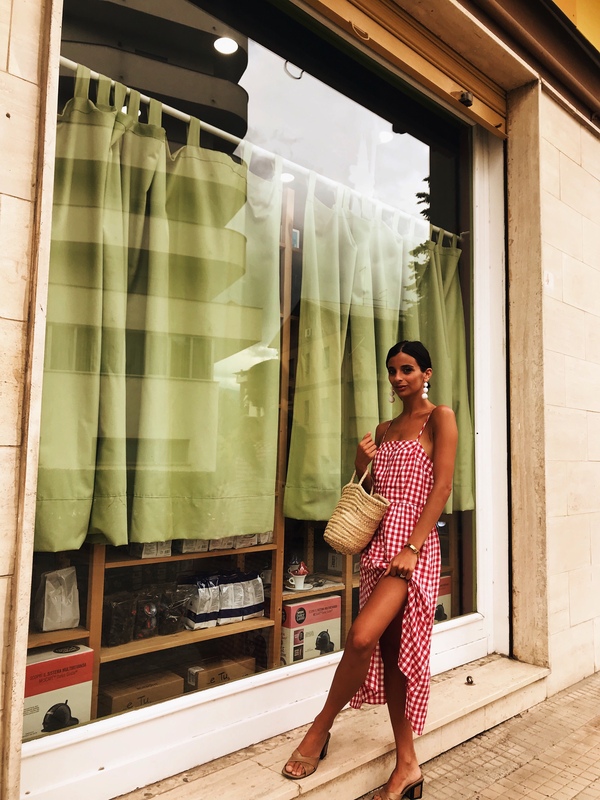 You guys know how much I love a print at the moment but especially this pretty gingham prints for the summer months, it’s become my staple for SS18. 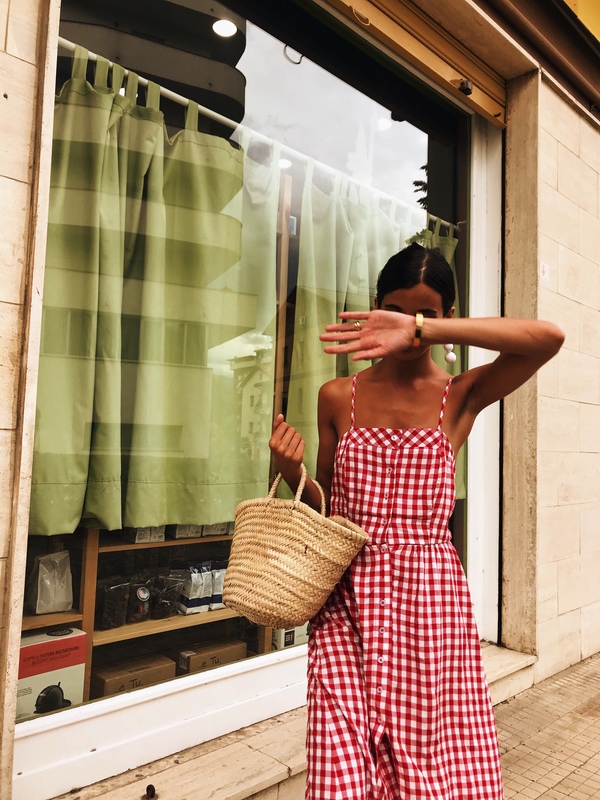 I was clearing out my wardrobe on my return and found that all my summer dresses seem to be of a gingham style like this one I wrote about here! I adore this print a little too much and it’s one that will suit anyone and everyone, so I’m all for it. I purchased this dress from Newlook via Asos (here and similar here and here) and actually shopping at NewLook wasn’t as bad as I thought! I don’t shop here at all but I decided after my shopping on a budget post did so well to try out another budget friendly shop for you guys. 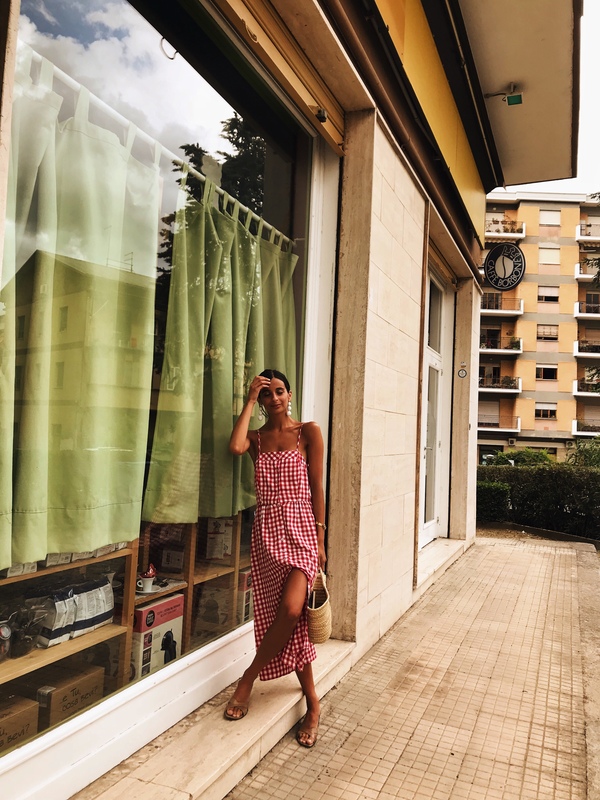 So I purchased this gingham midi dress, the print was SS18 ready, the length is a classic style and always what I’m after and it had a super cute bow detail at the back complete with a button front – ticking all the summer trends! 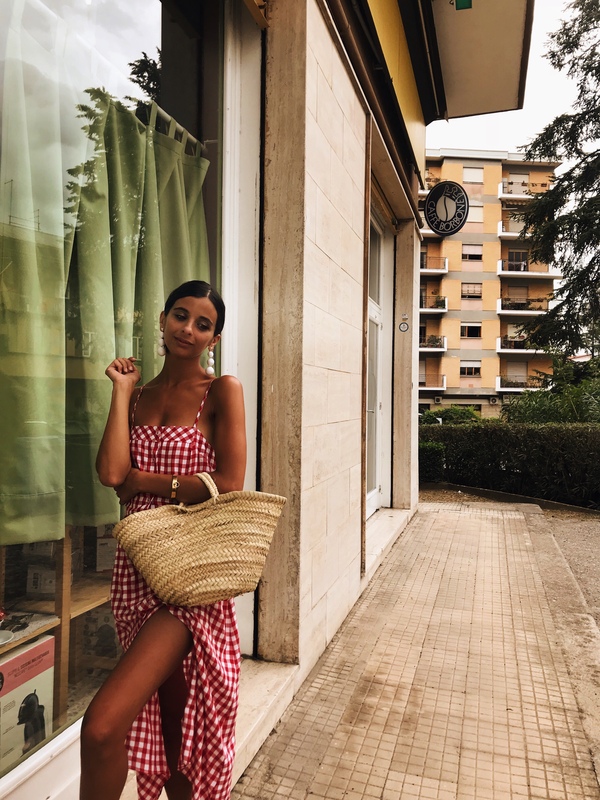 It’s super light great for packing -which is the smartest way to shop when purchasing vacation clothes. This print screamed Italian culture and got approval from Mia Nonna, however the cut and sizing of the dress was super disappointing. For such a huge high street brand that I know a lot of people shop In this really infuriated me! I purchased a UK size 6 having done a little research about the brand, I had read a lot of reviews to go down from your normal dress size. UK size 6 is there smallest size however the cut was extremely large around the armpits and around the waist. I styled it with my new By FAR Mules via Net-A-Porter (here) and my Kenneth Jay Lane white bauble drop earrings ( sold out but similar here) for a little glamour for our evening meal. So would I shop there again? 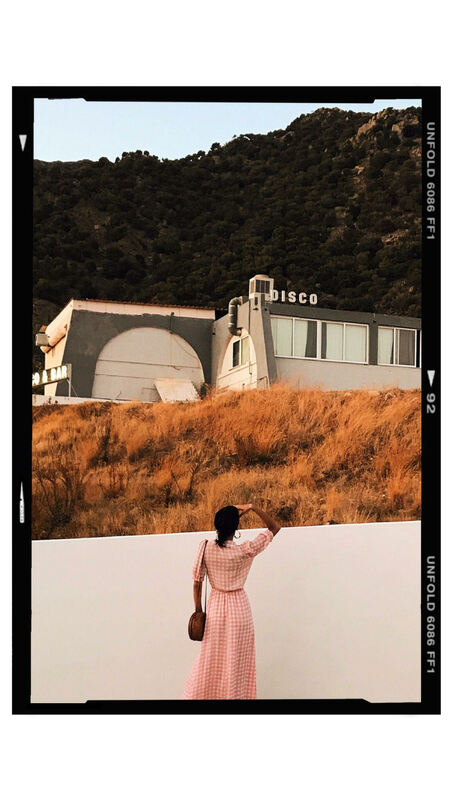 I think it’s great to shop here for the super hot trend moments where you want to try out the latest trends but not sure if it would suit you etc. I adored this print and design, but super disappointed with the cut! Let me know if you would like me to do another budget friendly shop, drop me a comment below! Dress looks amazing as does that tan!